Today's Loyalist PR Grad Profile features Stephanie Young (2016/17) who is now employed as an Event Coordinator at The Lavin Agency in Toronto. 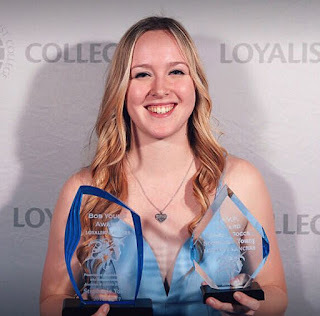 Prior to enrolling in the Post-Graduate Public Relations & Event Management program, Stephanie completed a diploma in Business Sales and Marketing diploma from Loyalist College. Loyalist PR: What made you decide to enroll in the Post-Graduate Public Relations & Event Management program at Loyalist? Stephanie Young: When I finished Sales and Marketing I wasn't exactly sure what I wanted to do, specifically which area to work in. I felt incomplete and like I wasn't ready to be done school. I wanted to spend one more year at Loyalist and enhance my skills. I looked up all the post-grad programs and when I read the description for PR I knew that was the one. 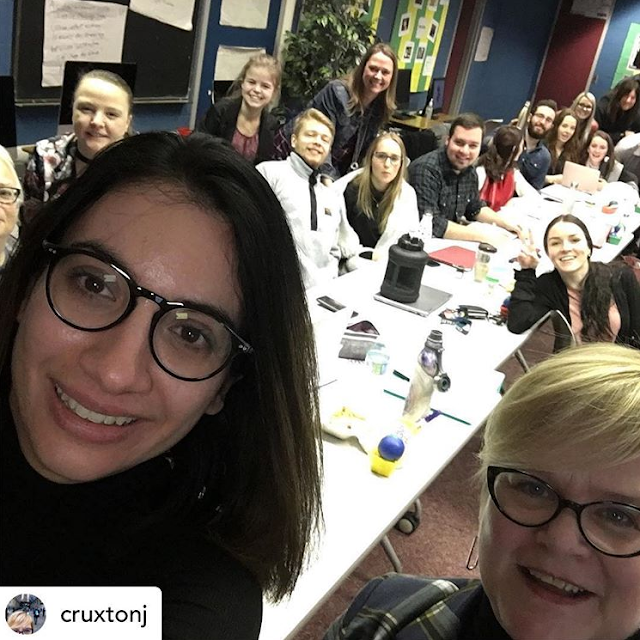 Everything just seemed to fit what I wanted to do, from event planning, to presentations, to digital media, fundraising, and not to mention it went hand-in-hand with my Sales and Marketing diploma from the previous year. Loyalist PR: What do you do as an Event Coordinator at The Lavin Agency? Stephanie: The Lavin Agency is a speakers' bureau, so we work with an elite group of active C-Level executives, scientists, economists, journalists, academics, and public intellectuals. As an event coordinator I handle all the logistics for the event, from the initial acceptance up until the day of the event, I coordinate everything from schedules, to travel, to pre-event calls. Pretty much everything logistics! I act as a middle man between the client that booked the speaker and the speaker themselves. 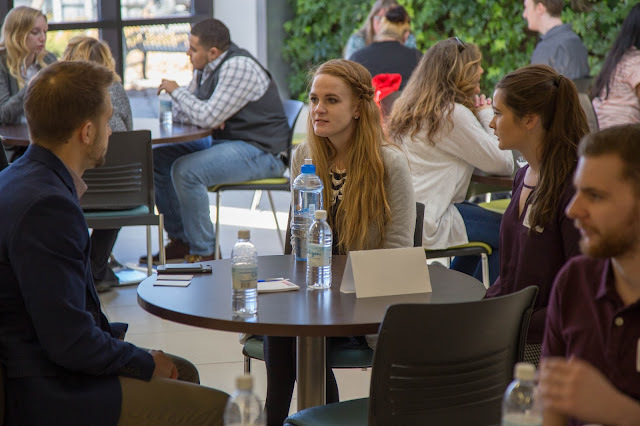 Loyalist PR: How did the PR & Event Management program help prepare you for your current role? Stephanie: Loyalist PR was a great program that dovetailed with my previous diploma and really helped me prepare for my current role. In our second semester, there was a large focus on hands-on work around events; and that was by far one of my favourite part of the program. Being able to organize and plan your own event from start to finish really helped me learn everything that it takes to go into one. And even though I'm not planning the specific event at this job, all of the skills that go into event planning and logistics transfer over, it's like fitting the pieces of the puzzle together! Loyalist PR: Any highlights of your year in the program that you'd like to share with us? Stephanie: The highlight of the PR program for me was all of the hands on-work. Being able to create your own events from start to finish, fundraising for events, writing articles for Lasting Connections magazine, creating media kits, and being able to use my creativity in digital media. Those were definitely my top highlights of the program. Loyalist PR: Any words of advice for the new PR students arriving this fall? Stephanie: PR is a great credential to add onto your resume; it is applicable anywhere and in any industry, and employers take note of that! It's a packed year of work, but it's such a wide variety of work as well. It's also a fun program, there are so many things that we do that make learning fun - not too sound too cheesy there! Plus Kerry is great at always being there to lend a helping hand. Whether it's going over the details on an assignment - no matter how many questions you have, or helping you find an internship, or even a job! She is there the entire way through to help and even after you graduate! Loyalist PR: Thanks for your input, Stephanie -- and good luck in your exciting, new role!